If you ask me, one of the most powerful and enjoyable new year’s resolutions that anyone can make – child or adult – is to journal. 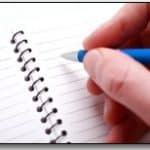 Journal writing exercises the mind and helps you to process your thoughts, feelings, and emotions. Journaling can also help adults to achieve those New Year’s resolution goals, such as weight loss, eliminating debt or quitting smoking. Journal keeping can help kids to create healthy habits such as a positive mindset, self-awareness, and creative expression, all of which build self-esteem and help to increase happiness. Daily journaling is the most effective if you ask me, but a commitment to journal just once a week is admirable and will get you results. And come on… who can’t find time to write in a journal just once a week? Are you willing to commit to journaling at least once a week? Will you help a child to do the same? Are you ready to get excited about journal keeping? “A fun way for kids, both girls and boys, to discuss and explore their self esteem. Unlike a diary Journal Buddies helps a bit more by asking your child questions as to how they are feeling, things they are going through and also better ways to respect others that are around them. It’s also a way for parents to connect with their kids who aren’t so willing to share how they’re feeling.
. 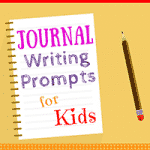 They are highly reviewed and powerful journals that give kids guided journaling writing exercises to follow for 30 days. Check them out today on Amazon.com. 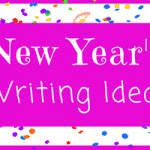 Happy New Year everyone, good luck with your new year’s resolutions and happy journaling too!